It's a hot summer day and ice cream sounds oh so good. What if we make it more interesting and turn that treat into a boozy indulgence? That's right, it's time to mix up a tempting ice cream cocktail. Many of these cocktails are blended with fruits, chocolate, and our favorite liquors. Others are soda floats and even easier to make because no blender is required. All are a creamier alternative to frozen margaritas and daiquiris. Ready for summer fun? Let's dive into the recipes. The banana split is a great dessert, but a liquid banana split spiked with chocolate and strawberry vodkas is even better. 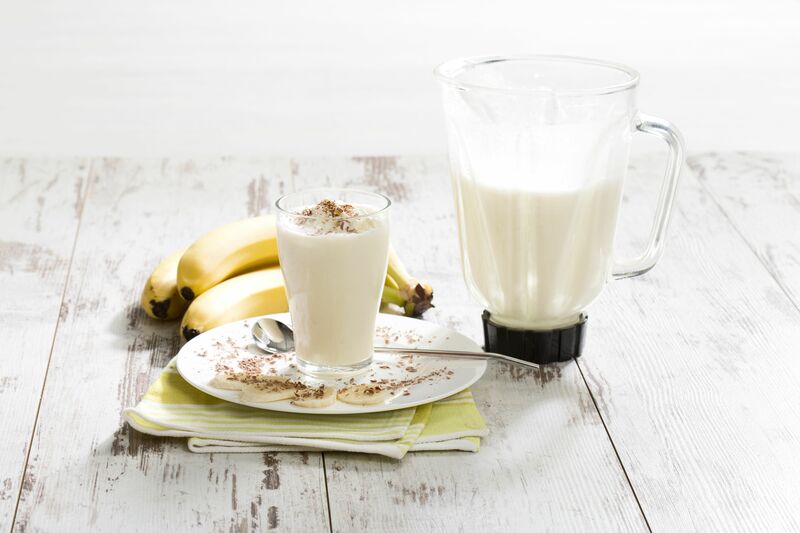 When you're ready for a tempting, boozy milkshake, look no further than this fun recipe. It's quite simple, actually. You'll pour the vodkas into your blender, add a whole banana, some pineapple juice, and finish it off with ice cream and milk. Blend it all up and enjoy the creamy taste. S'mores are another fun treat and there's no need to build a campfire to enjoy them. The s'mores milkshake is easy, creamy, and a fantastic indulgence for summer in your own backyard. This recipe is very boozy, using four liquors against an ice cream and chocolate syrup base. You'll need marshmallow vodka, chocolate liqueur, RumChata, and—here's the surprise—​Drambuie. It's a wonderful mix that is anything but boring. What about a little Guinness with your ice cream? The twist and shout recipe from the Hard Rock Cafe will show you how it's done and why it's a brilliant idea. A shot of the dark stout is paired with spiced rum and chocolate liqueur. This is blended with both chocolate and caramel syrups along with ice cream. To top off this devilish drink, we'll add more syrup, whipped cream, and bacon. Yes, bacon! It adds a savory touch you'll love. Among the quickest ice cream cocktails you can mix up, the UV liberty recipe is made like a root beer float. It has a light, fruity profile, though, so it's rather unusual. The blue in this cocktail comes from that favorite UV Blue Vodka. Its raspberry flavor is enhanced with a scoop of raspberry sherbet. To complete the float, we'll opt for lemon-lime soda. It's a fantastic twist on an old favorite and an easy, cheap cocktail to make. Jagermeister fans are going to swoon over this recipe. If you've dreamed of taking that famous liqueur to new heights, here's your chance. It's a ton of fun, trust us. The inside scoop is another float cocktail and this one does involve root beer, but it's fancier than you may think. It begins with ​a spray of Yellow Chartreuse, adds a shot of Jager, then your favorite root beer. Add your scoop of ice cream and top it with root beer bitters and orange oil. Strawberries shine in the love potion #9 cocktail. It's another blended cocktail that pairs the sweet fruit with chocolate for an indulgent drink you'll want to share with that special someone. For this recipe, choose between a strawberry or vanilla vodka for the best results. Add crème de cacao, fresh berries, ice cream, and ice and ​blend away. It's sweet, delicious, and sure to be a new favorite. We're going to put a spin or two on that popular frozen piña colada. The kappa colada recipe has the same great pineapple-coconut flavor, but a few changes are in order. Here, you will skip the rum and opt for brandy instead. Vanilla ice cream adds to the creaminess produced by the cream of coconut and we retain the ice for substance. It's a little sweeter, a little creamier, and a little familiar all at once. One of the best frozen blue cocktails you will find, the chi-chi has long been a favorite. The tropic taste also mimics the piña colada, but the color sets it apart from the rest. Rather than rum or brandy, this tropical beauty uses vodka, though coconut vodka is even better. The color comes from the tried and true blue curaçao and from there you'll pile on the coconut, pineapple, and ice cream. Delicious and stunning, just don't stare at it too long because it will melt. The cocktail's name "death by chocolate" should clue you into what's going inside. Not one, but three chocolate ingredients get whipped up and if you want to even add more, grab a bottle of chocolate vodka. Chocolate ice cream, syrup, and liqueurs pile into the blender for this recipe. Add a shot of vodka (your choice of flavor) and some coffee liqueur for contrast, then blend away. Deck it out with tempting toppings and sit back and taste the magic. Baileys makes everything better, doesn't it? That famous Irish cream is the star of this tasty iced coffee cocktail and, as always, there are a few surprises inside. 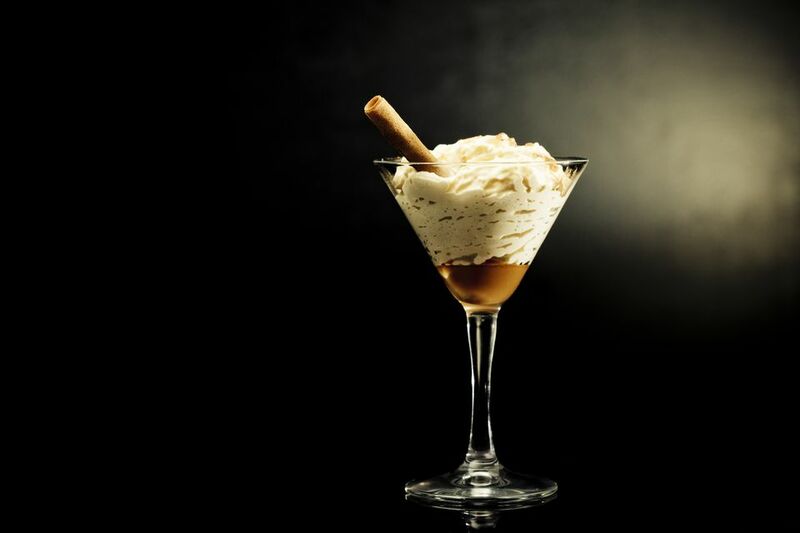 The Baileys Irish ice recipe pairs iced coffee with espresso and Guinness gelato. Can't find that very specific gelato? No problem, we have a few ideas to help you get around that small hurdle and the drink is worth it.